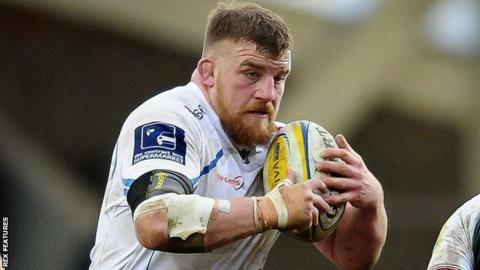 Scotland prop Moray Low has signed a two-year extension to his contract at Premiership club Exeter Chiefs. The 31-year-old has played 42 games for Exeter since moving from Glasgow Warriors in 2014 on a two-year deal. Low has won 32 caps for Scotland after making his debut against France in the 2009 Six Nations. "I think Moray has done well for us in his first two seasons here and is looking to be an improving player all the time," said Exeter boss Rob Baxter. "He has worked his way back into the Scotland squad, and the performances he has put in for us, his ability to play on both sides of the scrum, plus his desire to be considered as a player who can play on both sides has all been great. "I think he is a good player to have in the squad, he works extremely hard, he is very professional, he's an easy guy to coach and he enjoys being here."